Star Head 2011 – damned fog! After a clear, beautiful sunny day on Saturday, we were hoping for the same on Sunday for Star Head. Unfortunately, this wasn’t the case – we woke to a thick blanket of fog, but hoped it would burn off by the time we got to Bedford. We’d got a bumper entry in for the event, some 25 crews entered, making this one of (if not the) biggest entries we’ve ever mustered. For the first time ever, this necessitated us taking a second trailer as we had too many boats for just one. 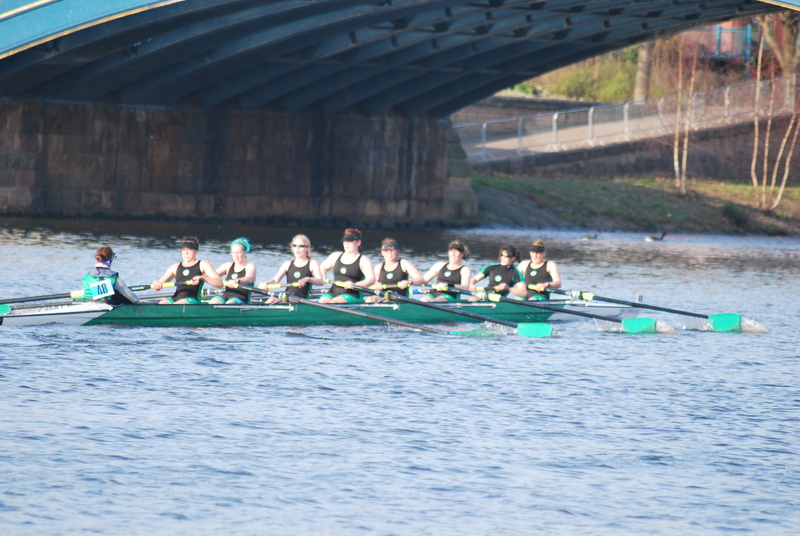 Pleasingly, these entries spanned a huge range – we’d got everything from a Novice four to a Senior pair, Masters boats from “A” to “D” and a whole load of junior crews to boot. After an uneventful (but gloomy) drive over to Bedford, we found the fog no better. We offloaded and rigged the boats for the first division, planned for 9. Fairly soon though, word came round that it was being postponed for half an hour, so we adjourned to the club house to await developments. Sitting in the club house, we could just see the far bank and the Town Bridge was completely obscured, so this was obviously too dangerous for racing. Equally obvious was the stuff was going nowhere fast – it would lift a bit but then come down just as heavy as before. Star kept us updated every half hour but it was becoming pretty clear that they were losing too much race time and ultimately they had no choice but to cancel. So, back to the trailer, de-rig and load and back to MK. Typically, by the time we’d unloaded and rigged, the fog (which was so thick we couldn’t see the far bank) had cleared and we had a bright, sunny day. Nothing Star could have done and they kept us all well informed and made the right call. I sure wouldn’t have wanted to race, let alone steer, in those conditions. I did feel sorry for Ben – first race, he towed the second trailer and didn’t even get his boat rigged! You are currently browsing the archives for the head races category.